What image types, sizes, and resolutions are supported for download? To keep the success of creating your QR codes without experiencing any issues, it is important to learn about the image types, sizes and resolutions that are supported for download. Everything starts in the Visualead gallery. 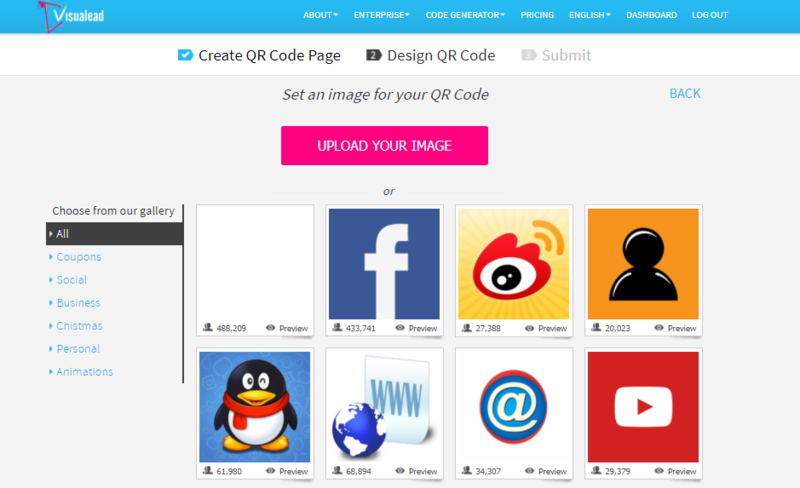 The platform has complied stock images and designs for you to use when designing the Visualead QR code. It takes a simple click and scroll to see the designs available, and once you have chosen your image, you can start to create the QR code. Within the gallery are icons of various programs and social networks such as Facebook and Twitter, as well as graphics and designs of icons that are suited to the code that you are creating. We support image types and formats that include: EPS, PDF, BMP, GIF, JPG, PNG and TIF. All the images within the gallery are identical in size and resolution: 300dpi, 5cm x 5cm. After you have finished creating your QR Code design with the use of an image from the Gallery, you can download it from your dashboard at other resolutions, file formats and dimensions. We support the following image resolutions when designing your QR codes. • 72 dpi • 96 dpi • 300 dpi • 600 dpi.